The Marek Design RS1 is a multipattern tube condenser microphone with a unique transformerless tube topology and line-level output. Because the microphone has such high output — depending on pattern, the sensitivity figures range from 119 mV/Pa to 653 mV/Pa — it can be used without a preamp. The RS1 has an unusual pattern-selection mechanism. 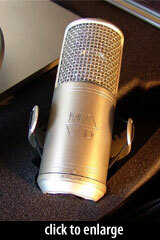 The capsule is not a dual-diaphragm design, as one might expect from a multipattern mic. Rather, the pattern control is effected by mechanical manipulation of the capsule’s backplate, via a control ring on the mic body. The six available choices provide five different pickup patterns (Omni, Wide Cardioid, Cardioid, Hypercardioid, and Figure-8) as well as varying tone colors (e.g., the two cardioid settings have different frequency-response curves). Omni, with increased high-frequency and low-frequency response. Wide cardioid, again with increased HF and LF response. Figure-of-8, with “very deep, bulgy midrange” and attenuated HF. The mic’s self-noise depends on the pattern selected. It ranges from 1.5dBA in Figure-of-8 (note: this is the lowest we’ve seen for any microphone) to 16.3dBA. Via the rotary gain control on the power supply, which works by changing the polarization voltage of the capsule. The capsule was designed and is built at the Marek Design facility. It uses a thin aluminum diaphragm in an edge-terminated design. Diaphragm diameter is 25mm. 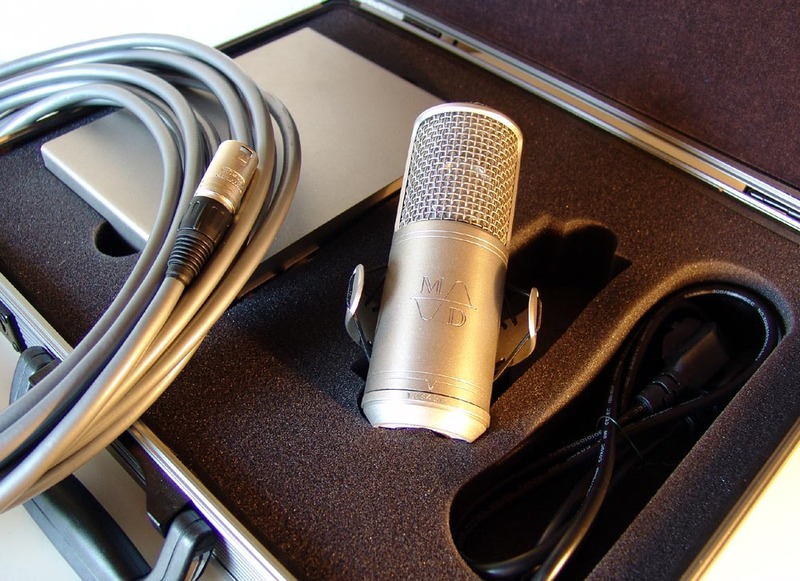 The mic ships with a dual-voltage power supply, a built-in shockmount, and a power cable in a padded flight case. The 5-year warranty is not transferrable, but does include two free inspections during the first two years of the microphone’s use. The Marek Design GmbH RS-1 is also known as: RS1.